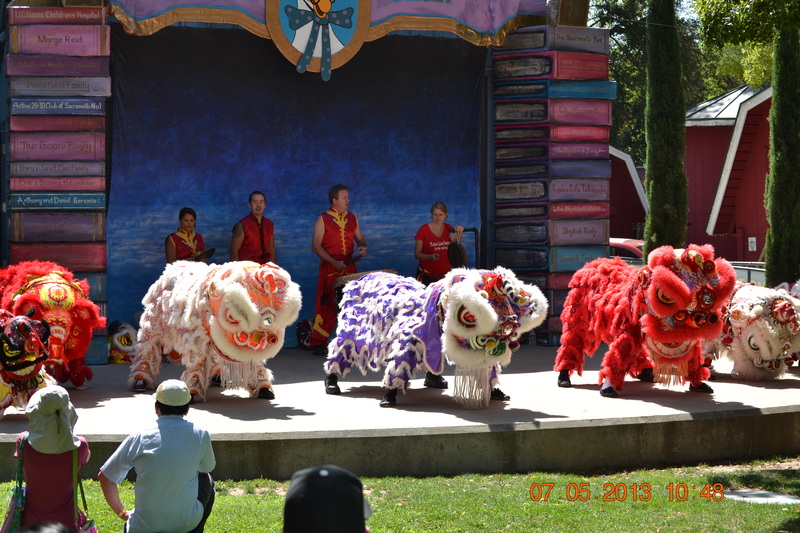 On July 5th, 2013, I participated in a Lion Dance at the Fairy Tale Town near the Sacramento Zoo. There was many children at the event. There was even a camera crew who recorded the first 10 minutes of the Lion Dance performance. After 15 minutes of carefully placed footwork (And some skilled lifts accomplished thanks to my lion dance partner) the 1st part of the Lion Dance performance was over. Tai Sifu Hubbard and Tai Simo Molina allowed a few of the audience children to try out lion dancing with our smaller lion heads. I got to help the children free style moves with the lion heads. After the children finished participating, we performed an encore lion dance and the event was over. I always love a lion dance with my team. 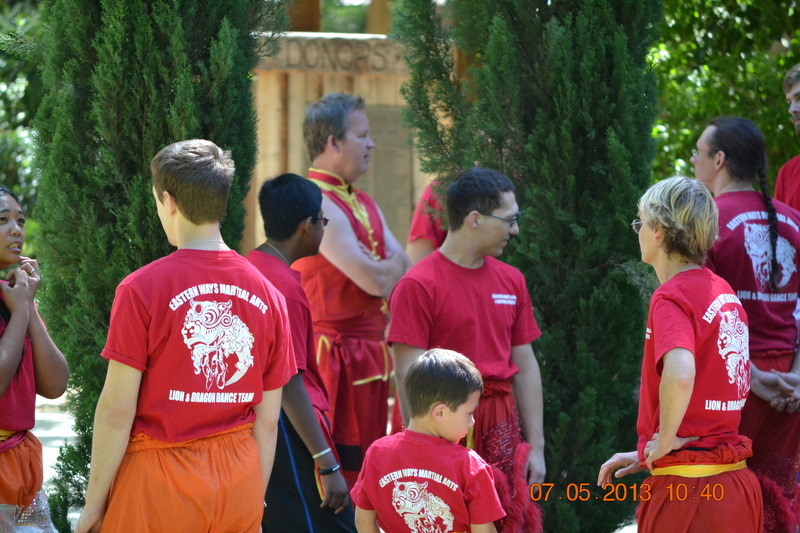 The next lion dance (as far as I know) might be at the Air Force Base near Davis or a Wedding in September. It was too bad I didn’t have someone take pictures for me. These pictures were taken by one of the student’s parents, so the delay was long.